Speaking with GamesIndustry International after the BAFTA win, Arkane Studios' Harvey Smith said he's heard the critiques about single-player games, but hasn't put too much stock in them. "What people say each cycle is, 'Fill-in-the-blank is the new thing.' And if you're old enough, you remember when it was live-action video games," Smith said. "At another point it was MMOs. At another it was social games. At another it was multiplayer shooters. And none of those things are bad; they're all great. But what the reality seems to be is we keep adding types of games and finding new player groups for those. The market seems to be expanding." "What the reality seems to be is we keep adding types of games and finding new player groups for those. The market seems to be expanding." He pointed to the real-time strategy genre, which is generally considered moribund, but spawned the thriving DOTA phenomenon. "It seems like our attention focuses on the new thing, but in reality, there are still plenty of people that like a particular kind of game," Smith said. "Every time someone announces the death of the single-player game, something like The Sims or BioShock Infinite comes along and does different things well. So far we haven't capped out. It's not like DOTA fans are buying DOTA and not playing Skyrim, or buying Dishonored and therefore not buying Madden. I think there's a bunch of different audience types and we haven't even hit the limit yet." That doesn't mean every genre will stay the same. Smith noted that games used to be played a quarter at a time, and business models aren't about to stop evolving. Right now, he said every friend he has in the industry is grappling with how to make free-to-play games that aren't exploitative, even the ones that aren't actually working on free-to-play games. "People will find designs that players love in that area," Smith said. "And I have faith players will let people know where they're willing to go and where they're not willing to go." Smith also talked about player feedback on Dishonored, and whether he's heard calls for a multiplayer version of the title. Smith has heard some clamoring for Dishonored multiplayer, but much more gratitude for the single-player focus. "I hear everything," Smith said. I get tweets back to back that are, 'Oh my God I never saw that twist coming,' and 'Oh my God I saw that twist a mile away.' They're, 'Oh my God I love how blink worked' and 'Oh my God I hate how blink worked.' You just have to look at the bulk." While Smith acknowledged hearing people ask for multiplayer, he said he'd heard people thank the team for making the single-player game the way they made it much more frequently. "I hope there's some specialization happening and people are going to have to do one thing well or three things well instead of trying to do the same 12 things everyone else is doing." Beyond having the successful models of games like Skyrim and Dishonored to follow, other developers could be also be encouraged to make single-player only games by the realities of business. "So I hope people are specializing and going deeper on given mechanics. And I actually hope it gets to the point where there are so many people competing--indie developers or commercial developers--and they're so good at this one thing they do that in order to win, you have to differentiate. You have to do something well that the other guy's not doing. That'd be nice, right? Instead of a handful of games that all try to do the same thing, I hope there's some specialization happening and people are going to have to do one thing well or three things well instead of trying to do the same 12 things everyone else is doing." Despite the BAFTA win, Smith and Arkane are not resting on their laurels. 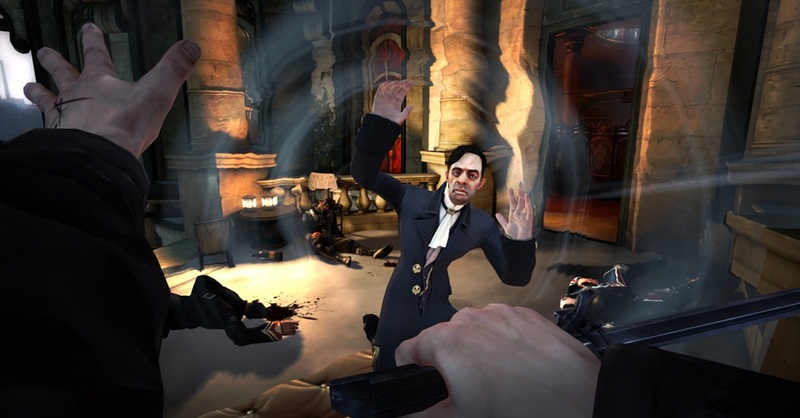 The next Dishonored add-on, The Knife of Dunwall, releases April 16. A third and final add-on, The Brigmore Witches, has not yet been dated. If you make a good game, it'll do well, basically. As Dishonored shows. Some of my fav games off all time are single player, Fallout 3 being the one that strings to mind. Its not dead and actually I think there is currently a gap in the market for more pure single player games again, time will tell. There will always be a market for single player games just like there will always be a market for competitive multi-player games. If we look at the VHS video tape and DVD, people claimed that DVD would eliminate VHS altogether, sure it made it obsolete but there are still people out there that buy videos and search the globe for Video players and combi-players. Also look at the very gaming industry itself. Not only do people keep retro consoles around, they still play them or are prepared to buy a retro game "remastered" or made available upon a new platform. Granted I will say my tastes for gaming has changed from say 10 years ago. A decade ago I would have played titles like Elder Scrolls to the very bone. Morrowind and Skies of Arcadia, I didn't just play for hours but for years, heck Skies of Arcadia made me buy the Dreamcast multiple times over the course of the decade. Now I prefer more co-op titles, however I still play single player games, I even have a nice pile of SP games to run through...Dark Souls being one of them and although I have completed Dishonored once, I want to complete it again along with the story DLC coming out for it. Overall there will always be a market as long as there is a demand for it. The title of this story should have been: "Rumors of The Demise of Single-Player Games Have Been Greatly Exaggerated". That way it could have fulfilled two cliches at once. And let us not forget that a certain downloadable single-player title called The Walking Dead also did pretty well when it came to awards last year and this year. I always laughed when someone said that single player was dead/dying. Single player is the game equivalent of reading a book, and to really enjoy the story, you need to experience it alone or at least with full concentration. It's hard to be moved by a story in a multiplayer game or co-op mode, and there are many gamers such as myself that love and prefer story driven games. Dishonored is a great game, Im looking forward to what they do next. There is nothing more disappointing than a good game with no true single player option. The cumulative quality of Internet connections around the world aren't quite good enough for developers to build all games solely around multiplayer. Multiplayer games are great but all but the few die stone dead eventually. At one end of the spectrum a multiplayer game can have next to no audience online in only a month or two. At the successful end they can last a couple of years. Boot these games up in a few years time and they'll be all but useless. Single player experiences give us games that continue to work, even if there isn't a crowd of others wanting to play as well. This alone gives them a huge USP.